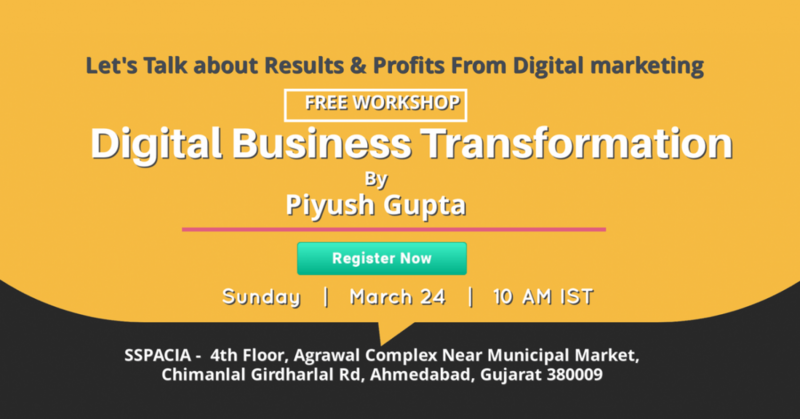 DIGITAL BUSINESS TRANSFORMATION IS 2 HOUR EXCLUSIVE SESSION FOR Trainers/Speaker/Coach/Consultant/Entrepreneurs or Business Owners who want to start or grow their business by 10X through SOCIAL MEDIA MARKETING. 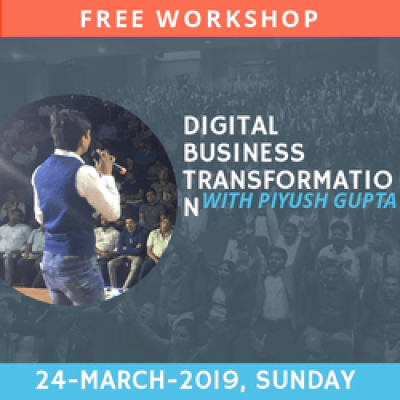 This `90% marketing, 10% digital’ program is designed to help even those who have never DONE any Social media Marketing before. 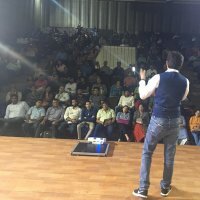 How to Create Unique Brand Creation formula to Create an authority into Market. How to Create a Killer Ads Content which hold people to click it fast and get Emotionally attached immediately. How to Create universal Ads Campaign which generate Quality leads with Low Cost. How to Launch your Profitable business Model. How to target your Target audience Preciously with Right Communication angel. How to do Proper market Positioning which build trust on you and Products. How to create offers with Unique Value that solve your prospect's problems. How to scale your business with Facebook marketing. Unique Marketing Psychology Which Excite your Prospect to buy from Within 30 days without pushing hard. How to sale any product or services with ease. How to get Quality leads which convert into sales. How to make 10X Profit from Facebook Ads. Entry is First Come First Bases. Tea And Coffee Tasting For All !